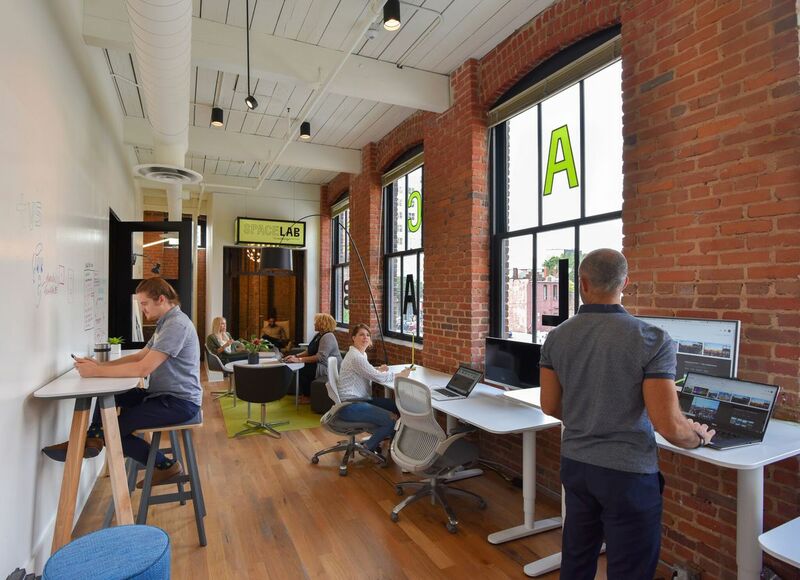 Nestled in the back of a second-story coworking space in historic Sweet Auburn sits the new satellite office of Atlanta-based design firm tvsdesign. Although the 50-year-old company has a home base established in a few floors of Midtown’s Promenade office tower, tvsdesign architect Richard Macri told Curbed Atlanta, the new location is part of an experiment: What happens when you offer designers and their clients a more intimate setting to do their work? The project, spearheaded by Macri, is called “Spacelab,” and it aims to give tvsdesign employees a place to basically play around with furniture and other designs from vendors, as well as test out working life in a new part of the city. It’s an example of an innovative use of space in a section of Atlanta rebounding from years of disinvestment. Macri said Spacelab 1.0, which opened in July at the Constellations coworking space on Auburn Avenue, is filled entirely with furniture on loan from tvsdesign’s suppliers, save for a few computers and some sit-stand desks. 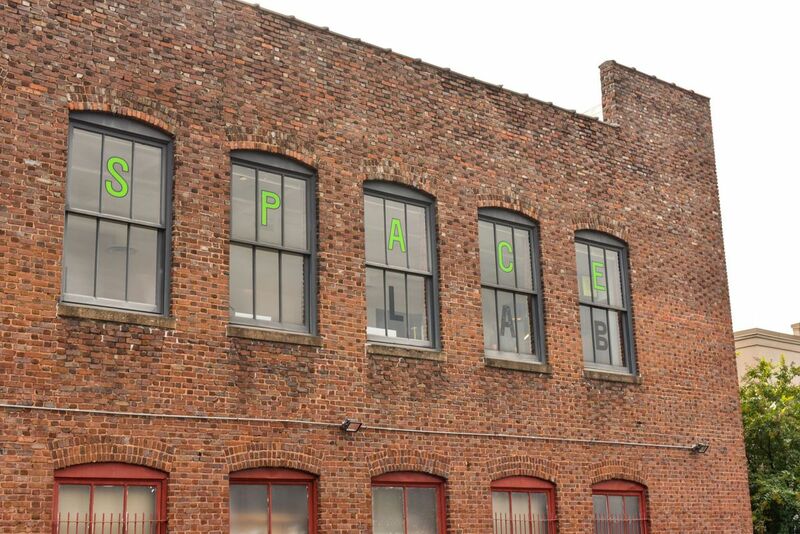 Spacelab is settled into the back of a coworking space at this circa-1910 building designed by Neel Reid. 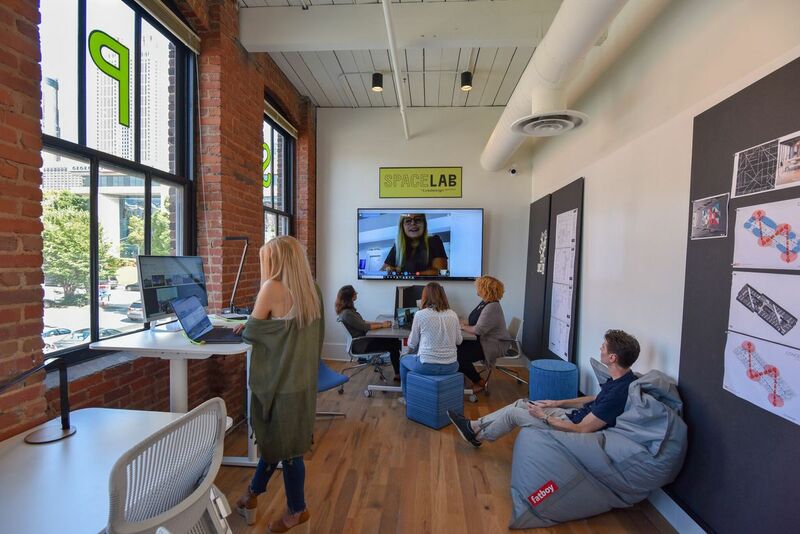 Tvsdesign’s crew can opt to switch its normal routine by working from Spacelab, and they also have the opportunity to rearrange and review the abundance of modern furniture and lights—a way to acquaint themselves with the products, coworkers, and a new community. Macri said he believes the Spacelab experiment is the first of its kind for a major design firm. 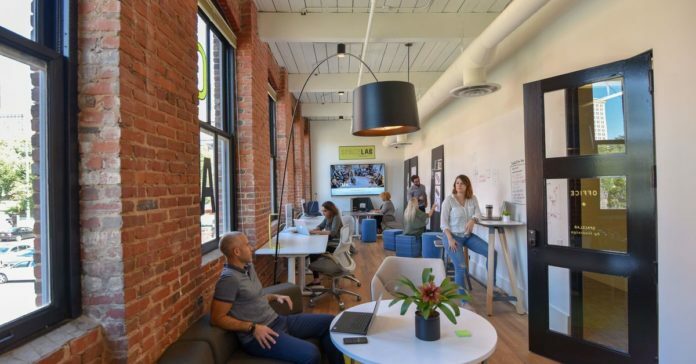 Sure, some boutique companies opt to set up shop in shared office spaces, but having the option of ditching the run-of-the-mill cubicle community in exchange for something with a bit more character could be beneficial for productivity and morale, Macri said. Sweet Auburn’s Spacelab, Macri said, is the first of at least four spaces that tvsdesign intends to create. 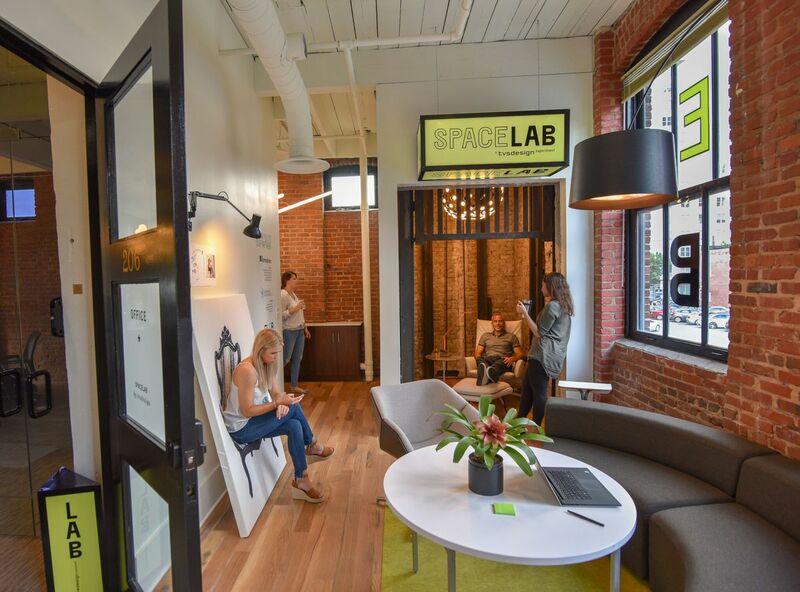 Elsewhere, the company’s considering testing out Spacelabs in Buckhead, the Westside, Decatur, and possibly a street-level location near the Midtown office. In fact, he added, after the Spacelab experiment, tvsdesign could just opt to leave its Midtown digs and set up a collection of smaller offices around Atlanta. “Should we just grow our satellites and forget the mothership?” he wondered. Tvsdesign has teamed with Sweet Auburn Works to find a way to give back to the community. They’re not entirely sure how they’re going to do that yet, although an unsightly gravel parking lot less than a block away is beckoning. Yes, that’s artwork you can sit in. Perhaps part of the lot could become a public picnic area. Maybe a shipping-container work space. They’ve even tossed the idea around to build a tiny homeless shelter. Additionally, when Spacelab 2.0 is created, officials with one of tvsdesign’s vendors—none other than the Herman Miller company—have said they’ll donate furniture for the space. On one condition: tvsdesign must donate it to charity before they head out to Spacelab 3.0.